The free metro for a weekend was AWESOME no? In the 2nd most expensive city in the world (as Paris was recently declared), doing anything can be fairly pricey, so a few days of free public transport, phew, that’s like getting the keys to the city or something. For those who are in possession of a Navigo card though (monthly public transport pass similar to the Oyster in London for the uninitiated), it didn’t really make too much of a difference to us given that we’re paid up and ready to go for the whole month anyway, but the gesture is still a wonderful thing to appreciate. But in non-polluted, normal times, the weekends for Navigo pass holders is a bit like the pesky-pollution-solution-open-barrier policy that we’ve all been privy to for the last couple of days, given that at weekends and a WHOLE MONTH over the summer, Paris becomes entirely zone-less. For folk already living in the outlying areas of Paris, then it might not mean too much, but for those of us living in Paris proper, in possession of a Navigo pass zones 1-2, that means we get to jump on a train and explore the weird and wonderful parts of the Ile-de-France for absolutely FREE. Now looking at the RER map and deciding on where exactly to head can be riddled with problems, given that the French language makes even the grimiest parts of the outlying suburbs sound like quaint little French villages. Doesn’t Sevran-Beaudottes sound simply charming? It really, really isn’t. A bit of research and guidance if you’re wanting to head out on a pleasant day trip into the country is extremely useful. So here I am. Now that we’ve exited the cold tunnel of winter misery and entered into a happy, sunny Disney-style spring, then the time for exploring the green fringes of the city is nigh. And the first stop in this balmy March weather you should head for is Fontainebleau, just over an hour away from the city. For Navigo holders, you can take the transilien out there and jump on a bus from stop Fontainebleau-Avon direct to the Chateau (the palace and the park are on the UNESCO world heritage list), and spend the day either taking in the history and walking around the vast grounds, or head to the delightful town for a spot of sunday market shopping (they even sell kale!). For those who have a more active adventure in mind can explore the vast forest and give your lungs a break from the airborne ills of the big city. It’s a very popular spot, so even car drivers might want to consider using the public transport option as the queues back into Paris after a sunny day can be a nightmare. More delights to be found along the RER network perfect for a day trip out of the city, coming soon. 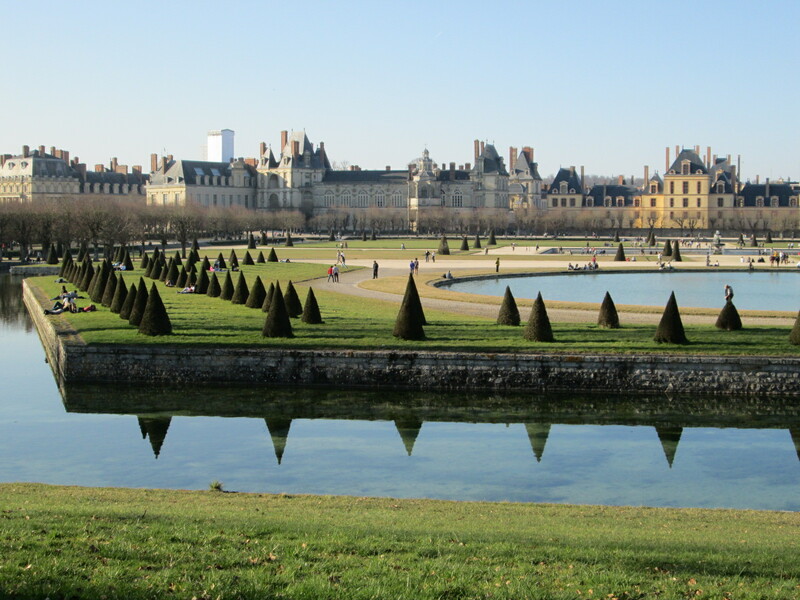 For more information, check out http://www.fontainebleau-tourisme.com.